Purpose designed, built, and tuned 999cc ProStar® 1000 engine. More power-80 HP with 61 lb-ft of torque-than any other side-by-side in the industry. High-Performance True On-Demand All-Wheel Drive to give you unmatched traction. High-mounted air intake and vent lines. Mud-specific gearing and stronger reverse chain. Industry-leading 2,000 lbs towing and 1,750 lbs payload capacity with standard 2" receiver hitch. Gas assist dump box with 1,000 lbs capacity and room for a full-size pallet. Adjustable suspension to maintain ground clearance when fully loaded. 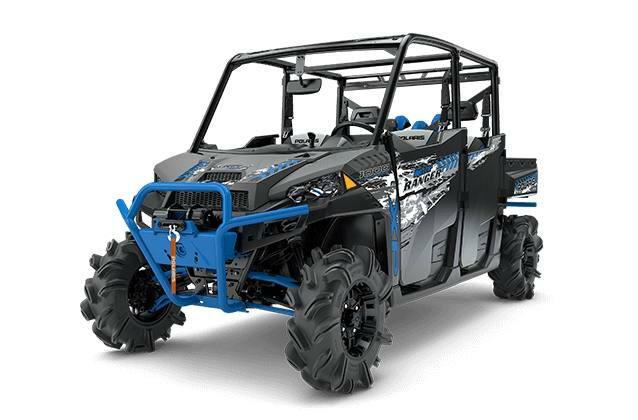 10" up-front dual A-arm suspension travel and 10" independent rear suspension travel. Stiffer springs to maintain a full 12.8 inches of ground clearance for the deep mud. Powerful headlights to work before dawn or after dusk. Smooth, responsive variable assist Electronic Power Steering (EPS). 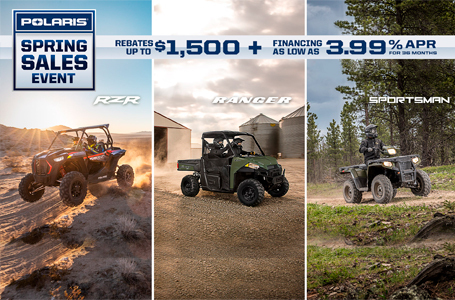 The Polaris RANGER® can be hazardous to operate and is not intended for on-road use. Driver must be at least 16 years old with a valid driver's license to operate. Passengers must be at least 12 years old. Drivers and passengers should always wear helmets, eye protection, and seat belts. Always use cab nets or doors (as equipped). Never engage in stunt driving, and avoid excessive speeds and sharp turns. Riding and alcohol / drugs don't mix. All drivers should take a safety training course. Call 800‑342‑3764 for additional information. Check local laws before riding on trails. ©2018 Polaris Industries Inc.